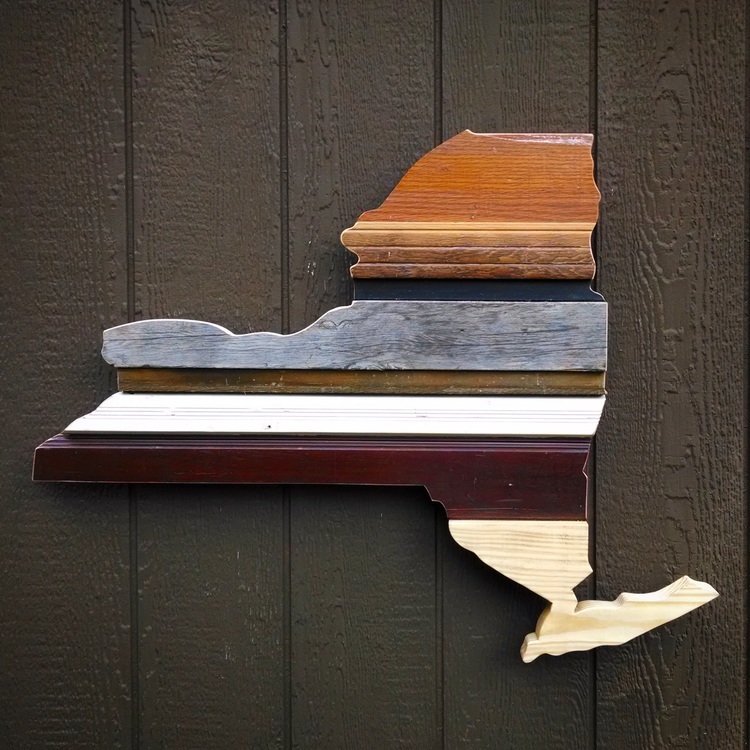 These are big, proud cut-outs of home, made in the shape of whatever state that holds your heart. We happen to be partial to West Virginia, but to each their own... we'll make whichever state you like, and produce it with the same level of care that we produce ours. 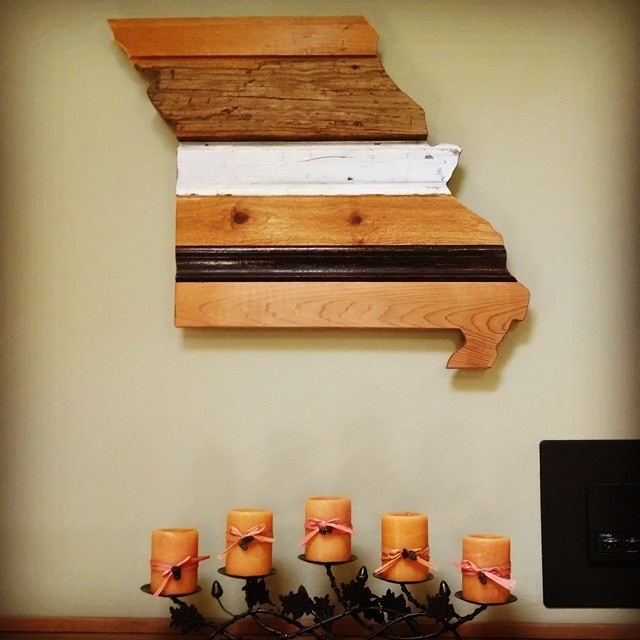 Our rustic states are hand made one-of-a-kind pieces made from reclaimed wood, that is, stuff that's been used and we are re-using. We get a lot of our materials from the local Habitat for Humanity, so you can feel good about supporting a great cause. We also source materials from people like you. 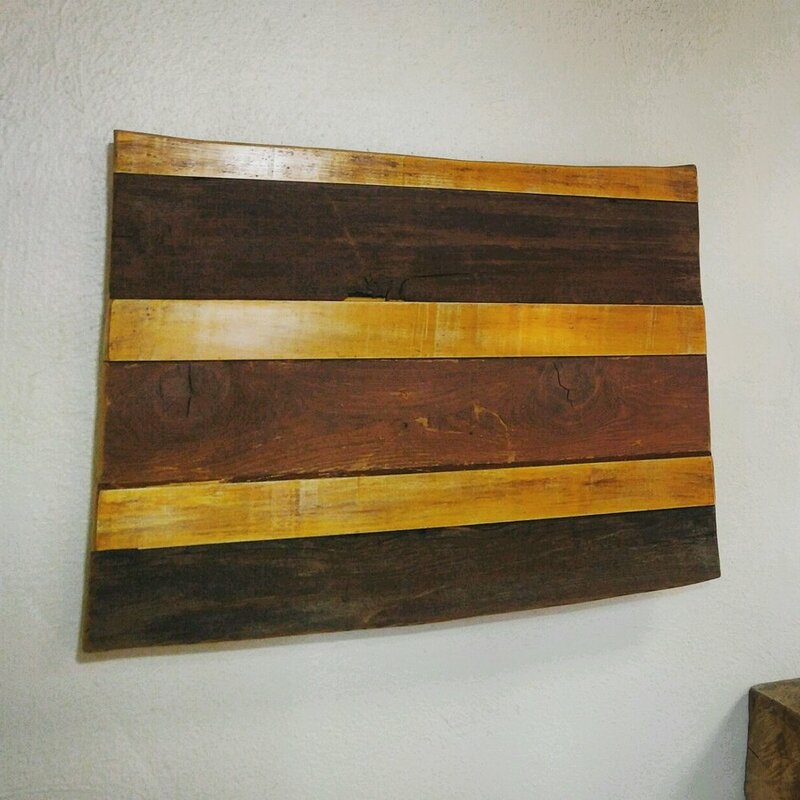 We meet with the owners so we know where the wood comes from. Knowing that also offers us the opportunity to know the history of the wood, which we can then pass on to you. 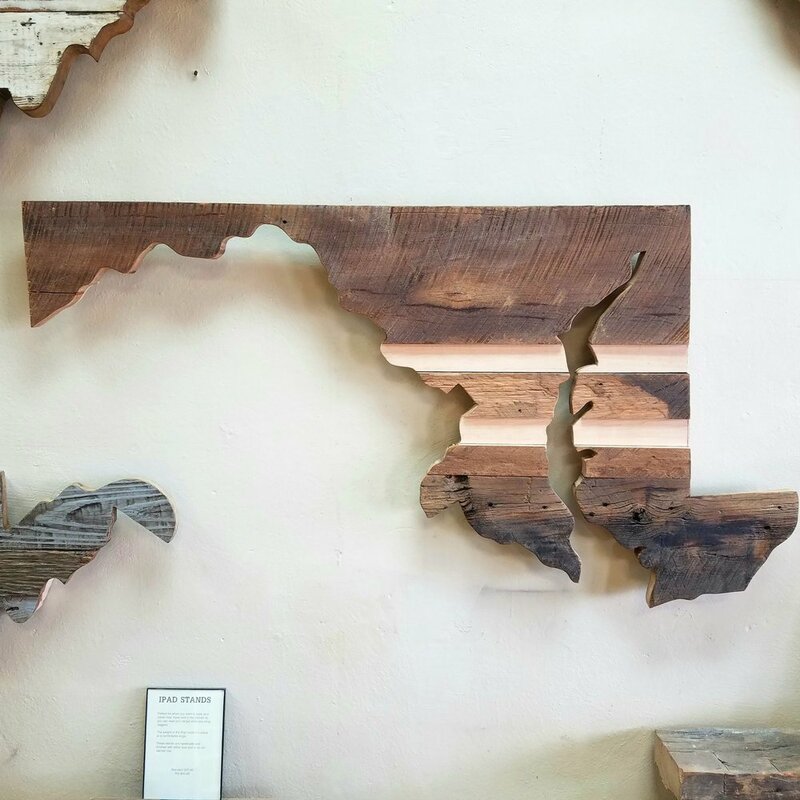 If you don't see your state here, it doesn't mean we don't like it; it just means we haven't gotten to it yet. Give us a shout - maybe yours can be the first. We ship anywhere in the continental U.S.. 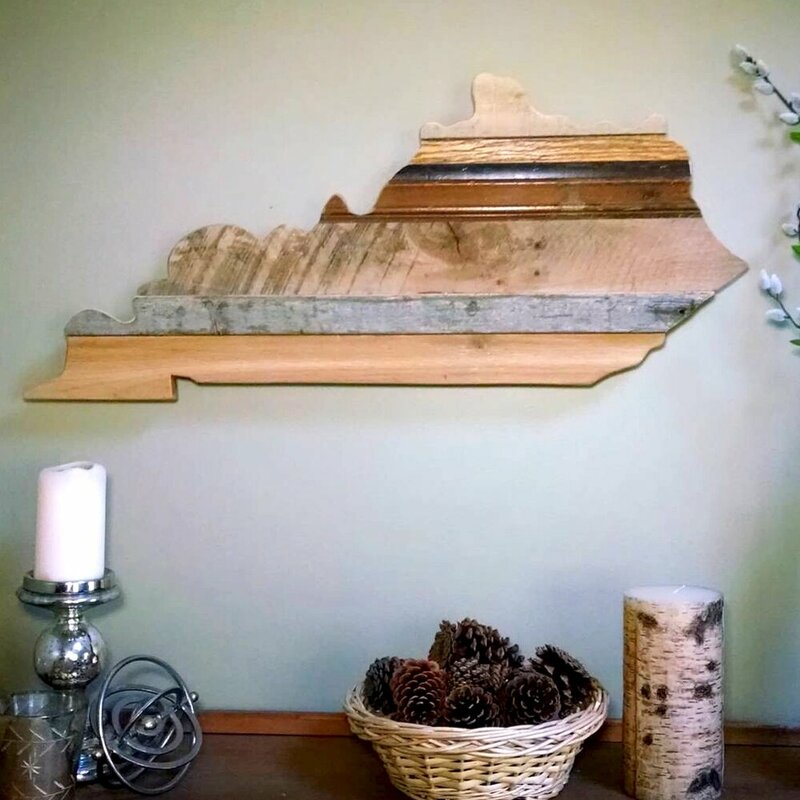 If you're local, you can drop by our wood shop and gallery at 2755 Main St., Hurricane, WV, or the gallery in Charleston at 811 Quarrier St..
Stop in our store and see our wide selection of rustic states in stock, ready for you to choose from and take home. If you don't see one here that's exactly what you're looking for we can make you one to your liking. 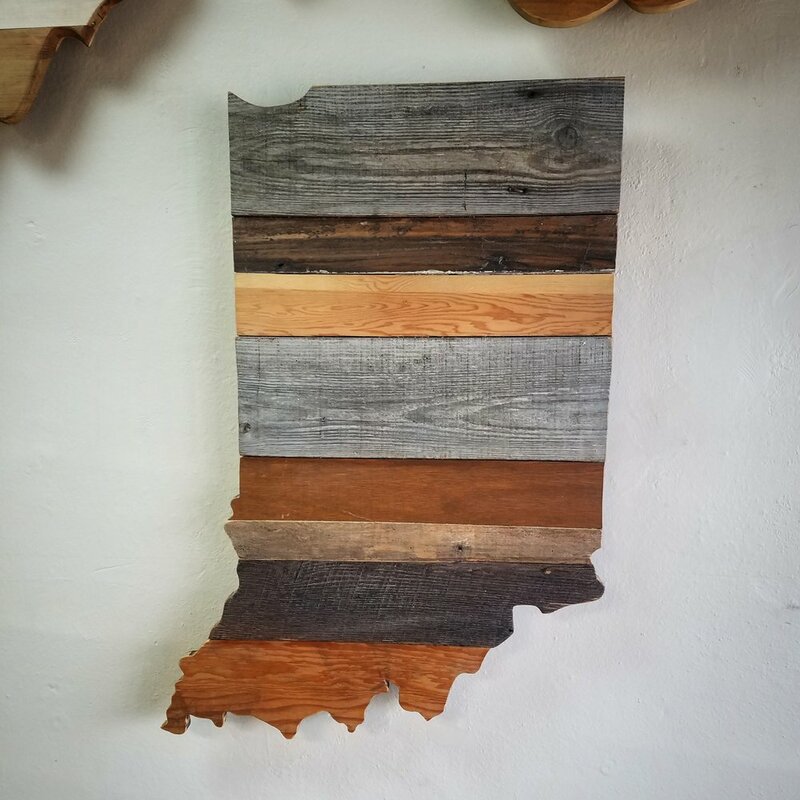 When you order a rustic state, we'll put you on our Production Schedule which right now is running past Christmas into January (last update: 12/13/18). Smaller items like ornaments or mini WV's are typically readily available in store for shipping and aren't subject to this schedule. Custom Engraving is available. Take look here for examples. 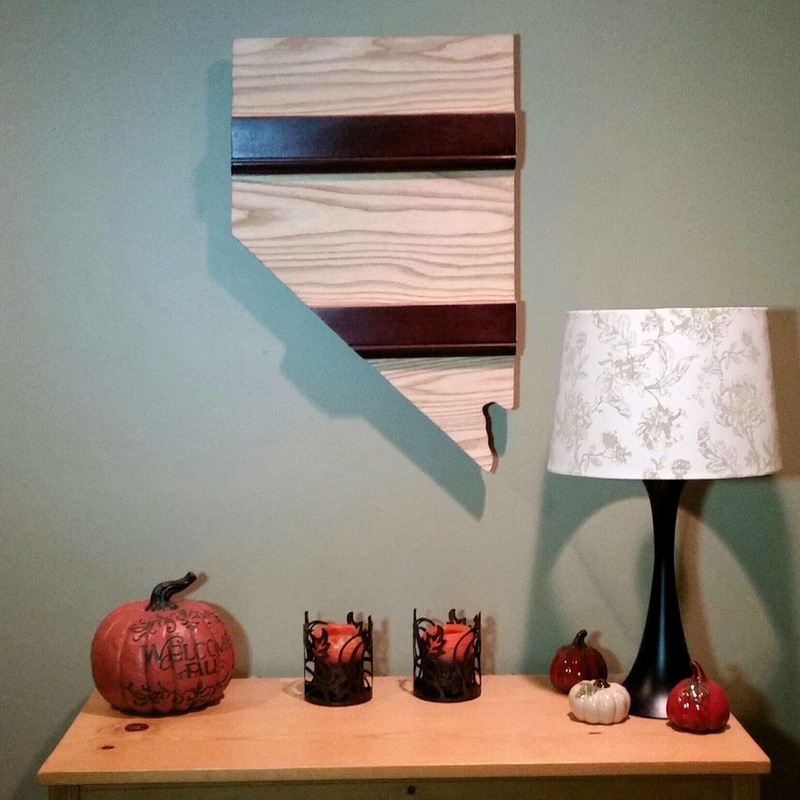 Contact the shop directly if you’d like to have your state made as a wedding guest book using lighter wood tones and smoother surfaces for signatures. If you have any questions, feel free to get in touch with us via email, phone, Facebook, Instagram, Pinterest, Tumblr, etc., whew! Links to all those are at the bottom of this page.